Google Optimize is Google’s tool for user experience testing, complete with Analytics and Ads integration, and Data Studio connectors expected in the future. As well as testing on your site, Optimize allows you to create personalised experiences for your users, tailoring the presentation and functionality of your site based on a range of targeting options. The latest features added to Optimize are well worth taking note of, as they help to streamline the process of user experience testing and personalisations. If you’re new to Google Optimize, we recommend first checking out our tips to help get you started before jumping into the latest features. The latest update to the Optimize interface now allows you to stop and edit a personalisation before reactivating. While “Stop, Edit, and Run” may not be quite as catchy or potentially life-saving as “stop, drop, and roll”, being able to pause a personalisation and make changes, without restarting the entire process, is a brilliant addition to Optimize’s capabilities. This is without a doubt our pick of the bunch. You’ll find the option to Stop & Edit at the right hand side of the experience view, in the Details tab. Don’t forget that any changes to a page could affect the reliability and validity of data you’ve collected. If you do need the data from a personalisation, it’s best to start fresh and keep hold of any data you’ve already collected. You also might’ve noticed the option to “Create A/B Test” from this menu. This allows you to quickly create an A/B test for the personalisation you’ve created, a simple and streamlined method of setting up a new test if you’re not totally convinced of the benefits the personalisation might have. 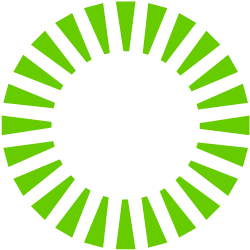 Similarly, if you’ve run a successful A/B test and see that one of your variants has led to improved user interaction and an optimised conversion rate, you will see the option to “Create Personalisation”, allowing you to immediately implement these changes from this variant to all users, or a targeted segment of your choice. It’s of little surprise that a platform for improving user experiences is regularly introducing optimised features, so we recommend looking out for the latest developments in Google Optimize when you’re next diving into the world of user experience. 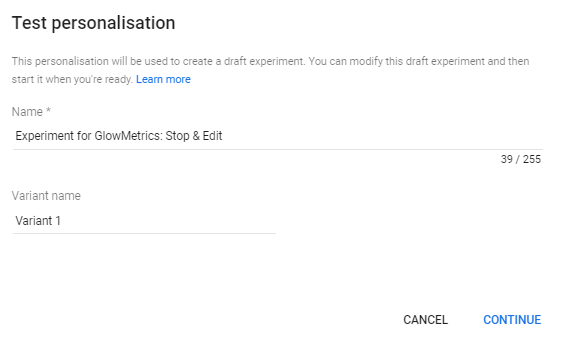 If you’d like more on Google Optimize, have a look at another three features you may have missed, that allow you to get the most from user experience tests and personalisations. If there are any other UX tools you’d like us to cover, or you have any problems using Google Optimize, please get in touch. We’re always happy to help!